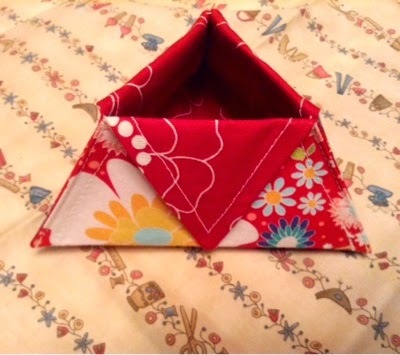 It is time for the Gifted Gorgeousness Sal, I have been busy sewing for exchanges this last month so this fits the criteria for the sal. I took part in two exchanges which were valantine related. 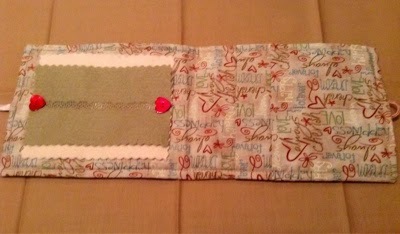 I adapted the Valentine Bird by Hand on Heart and made it into a needle case with a pocket. I also sent a bar of chocolate as well but forgot to take picture of it. 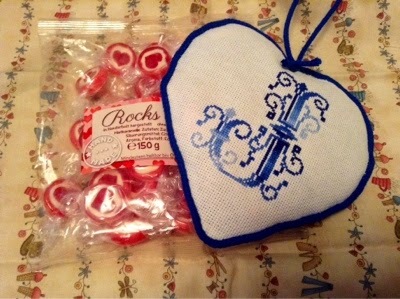 I received this from Judith in Germany a loverly heart shaped ornament and some sweets. The 2nd exchange was Send a Little Love Swap organised by Madaboutbags, we had to send 5 things which had to include something red and something heart shaped. 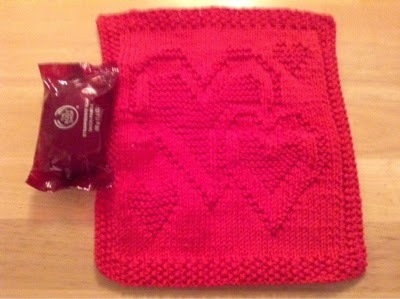 I decided to have a go at knitting a face cloth I found the pattern here. 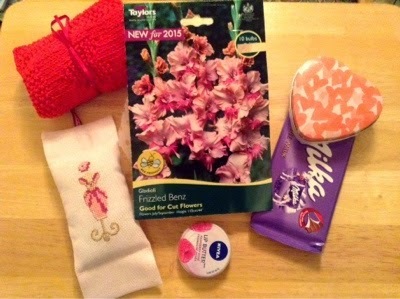 I was partnered with Anne who lives in Scotland she sent me the following loverly goodies. 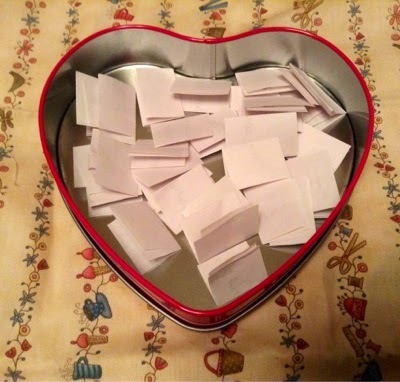 The lucky person was Sue Kosec an e-mail is on it's way for your address details. Great GG post ! 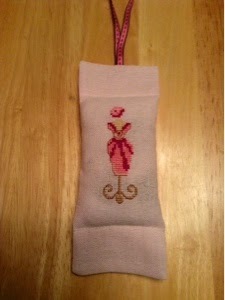 I have stitched the Valentine bird for my grandson but it's not finished (must had buttons and charms). Now you're here to remind me. Thanks. It never occurred to me to pop over to see whether you had received your parcel! I'm glad it arrived safely. Hopefully, yours will arrive tomorrow. If not and you sent it 'signed for' perhaps you would be able to track it and see where it's got to. 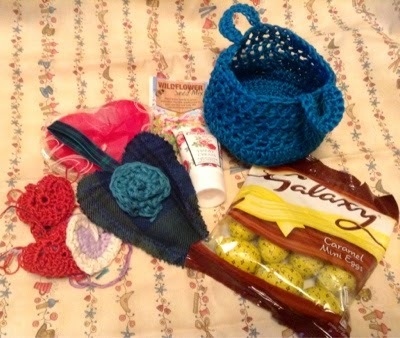 I'd hat for it to have gone astray since it's full of lovely things! Great gifts that are perfect for the GG SAL. 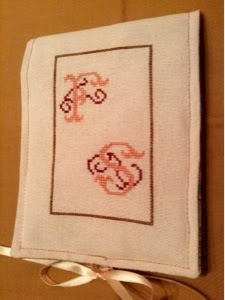 I particularly love the needlecase that you stitched and finished. These long-legged birds are so cute. Thanks for taking part in GG this month. 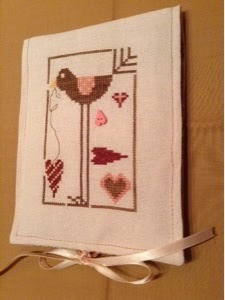 I love the long legged bird needlebook, great finishing. I also really like the heart with J on it, I want one LOL. Exchanges are so much fun to take part in. You've been very busy creating so many lovely pieces. I think the long legged bird is great fun and a wonderful finish. Beautiful gifts received and sent! Such a lot of beautifulness! It is lovely to see what everyone else received, thanks for sharing! Beautiful! 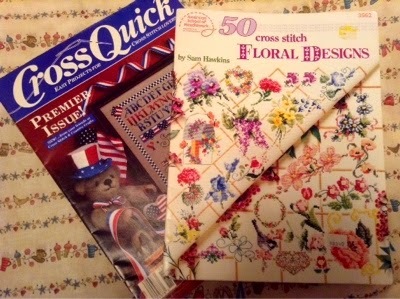 I love the needle book.